We live in a world where we have access to everything right at our fingertips and we have come to expect this in the computerized world that we live in. Pre-ordering Chipotle to avoid the long line, paying for your Starbucks drink through an app so you don’t have to go through the drive through or order at the counter. We can text, call, email, and get any answer we need within minutes—so shouldn’t it be the same with your insurance quote? Technology has taken over our lives and we have come to expect instant answers or instant gratification, but when you play the role of your own insurance agent, you are playing a very dangerous game. The problem with internet retail is that you are buying a price without truly understanding the risk or coverage in that insurance policy. There are many advantages and disadvantages to using an online insurance rating –the advantage is that you get an instant quote and you can shop around for the best deal to suit your needs. The disadvantage is that short-sided inexpensive savings today could equal large out of pocket expenses tomorrow. Consumer A needs car insurance and wants to save time and money so she decides to use an internet retailer. She receives a few quotes and settles on an option that meets her coverage and budget criteria. Consumer A gets into a car accident and discovers that her car insurance does not include towing or a rental car—which is coverage she overlooked. Consumer A may have saved $20 a month, but now has an unexpected, out-of-pocket expense because she did not use a trusted adviser who could have more thoroughly explained and guided her through the coverage selection process. Consumer B used an independent insurance adviser that understood her car insurance needs through open dialogue in a private office setting. That trusted adviser then contacted multiple carriers that she works with to help find the best car insurance coverage at a reasonable price for her client. Consumer B was able to find car insurance that addressed her risk and coverage needs. Consumer B pays $20 more a month, but has coverage for towing and a rental car should she ever be involved in an accident. We live in a digital age and shopping online will continue to get easier, faster, and more intuitive. However, the convenience of buying online is a transactional enterprise that often fails the consumer. Each purchase has different implications and the more sophisticated the buying decision the greater opportunity for error. Insurance is not a transactional sale, meaning you don’t shop for it routinely like items that fill your closets, satisfy your cravings, or book your next hotel. Insurance is a learned buying experience and treating it like a transaction is playing with fate. Think back to the last meaningful decision you made, maybe you purchased a home, consulted with a physician, started planning for retirement or opened your own business. Those decisions started over a conversation with a trusted adviser. Chances are you will need insurance for your home, health insurance for medical treatment, life insurance for retirement and a business insurance policy to protect your investment. It is wonderful to save money, but it is important to remember that there is no such thing as an exchange policy, money back guarantee, or risk free, no obligation purchase when it comes to insurance. At HAWK Advisers, our business is behind building and maintaining relationships and providing value to our customers. In an industry where insurance providers associate the speed of transacting business with customer satisfaction, HAWK’s advisers have made the choice to preserve the integrity of our products and services. While it may seem easier to purchase your insurance online, the benefits of using an independent insurance adviser outweigh convenience. There are so many reasons to choose an independent adviser. Advisers are experts who know insurance and can offer you professional advice ensuring that you have the proper coverage to meet your needs. Independent insurance advisers are state licensed and obligated under fiduciary responsibility laws to put your needs first and act as your advocate. Our HAWK Advisers enjoy getting to know you and can make recommendations based on your unique needs and through every transition in life. Your independent insurance adviser is your single point of contact—whether you have questions about your coverage, need to report a claim, or pay your bill—your adviser will be the person you go to. 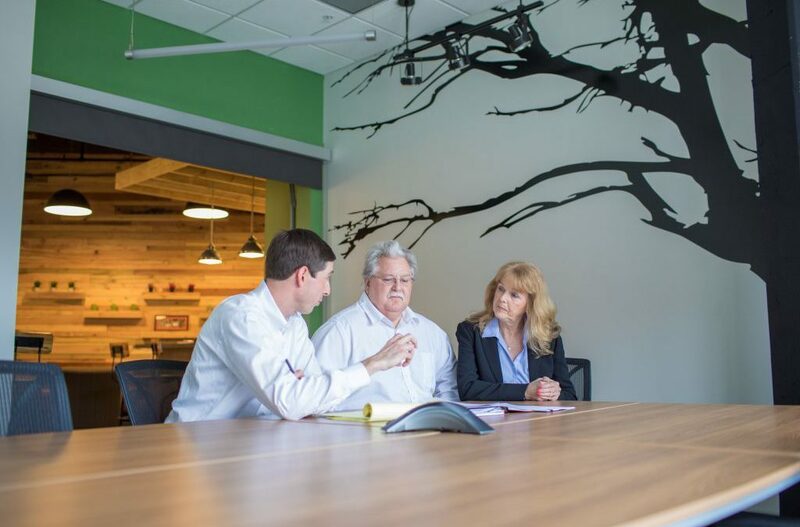 In this world of automation—take a second to slow down and talk your insurance needs over with one of our trusted advisers. We want to make sure that your insurance needs are hand-selected for you.